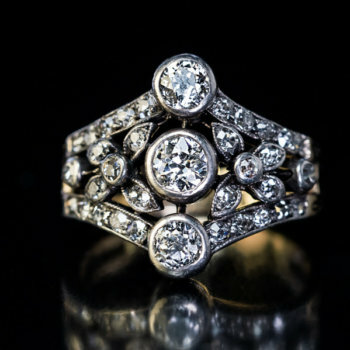 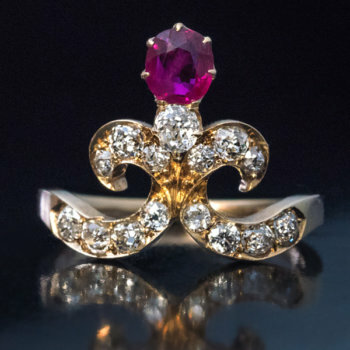 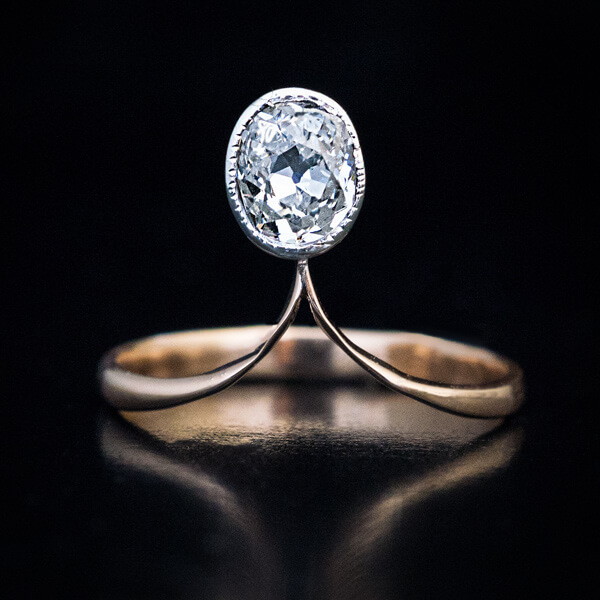 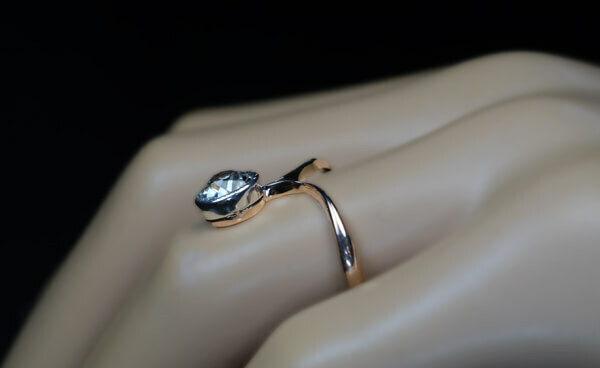 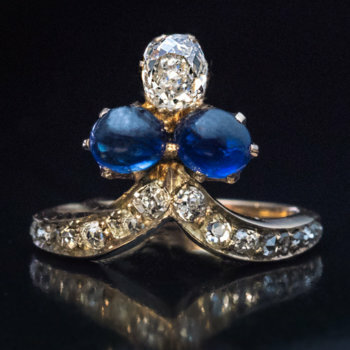 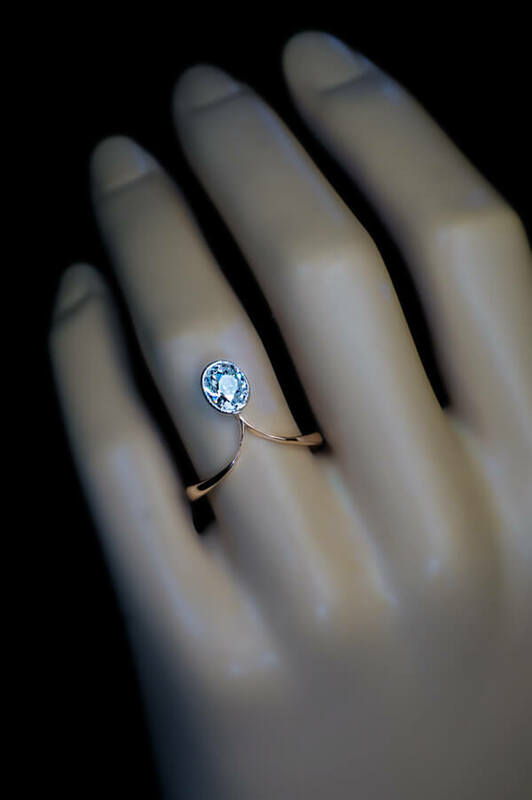 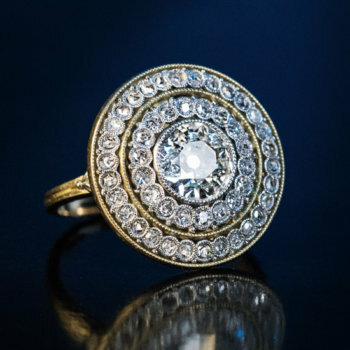 An antique tiara shaped 14K gold engagement ring features a sparkling old cushion cut diamond set in a silver bezel. 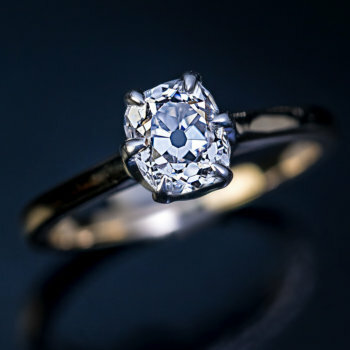 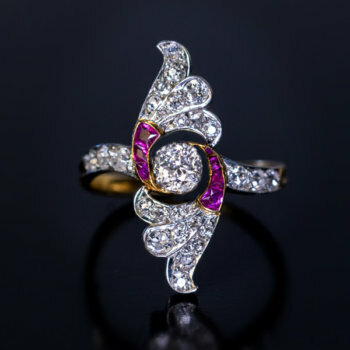 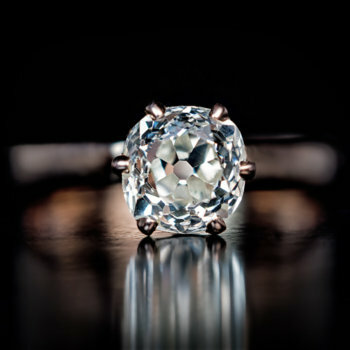 The diamond measures 6.42 x 5.53 x 3.1 mm and is approximately 0.85 ct (G color, SI1 clarity). 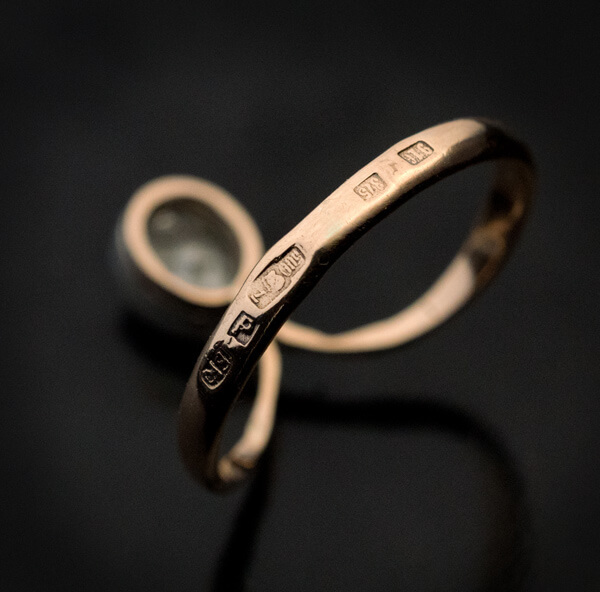 The ring is marked with later Russian control marks from the 1930s for silver and gold.